Get 25% off all Wellness Resources supplements that you set up on AutoShip! Choose shipment frequency of 15, 30, 45, 60, or 90 days. It’s convenient and flexible! You can add or remove supplements from your AutoShip order, change the shipment date, or cancel at any time. Easily manage it all from your "My Account" page. We highly recommend reading the The Leptin Diet book to help you see success with your weight loss program. 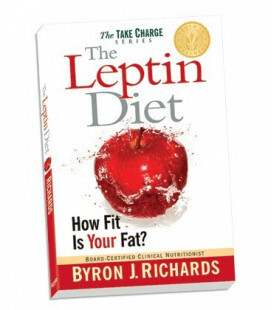 As a bonus gift in January, get a free copy of The Leptin Diet book with your Leptin Control Pack order! Directions: Take 1 packet, up to three times per day. Other Ingredients: rice oryza oil, beeswax, extra virgin olive oil, silica, cellulose, and magnesium strearate. Capsule ingredients: cellulose capsules (Vcaps), and glycerine, gelatin, carob, and purified water (softgel capsules). Contains dairy (Colostrum). The Leptin Diet explains how to unleash the power of hormones to resolve fatigue, food cravings, thyroid problems, and body weight issues. 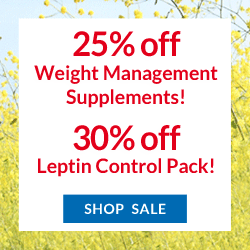 The Leptin Diet contains five simple lifestyle guidelines to get the hormone leptin into balance for permanent weight loss, increased energy, and optimum health. Superior quality whey protein isolate plus fiber and mangosteen. Tastes great, mixes well. Excellent for breakfast! Feel energized with the highest quality multiple vitamin for your health! Daily Energy Multiple Vitamin contains superior quality coenzyme B vitamins that your body can readily use for energy and stress tolerance. * Experience the difference a true quality multiple vitamin can make for you! We offer a 90-day money back guarantee for Wellness Resources supplements! If you are not completely satisfied with a product, return it to us and we will replace it or refund your account (excluding shipping charges). Refunds for opened products are limited to one bottle per product per address. Just call 800-717-9355 or email us to make a return.